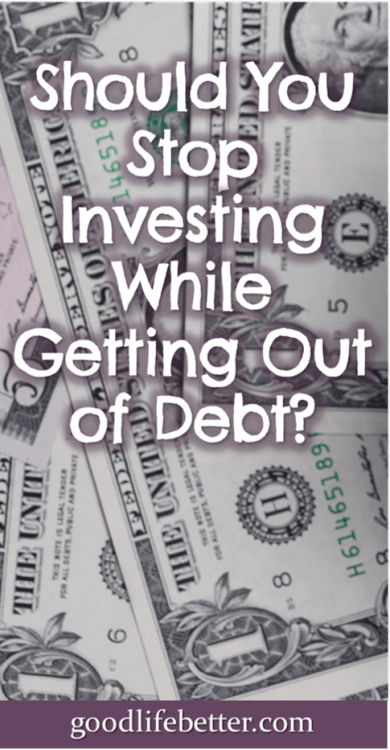 Should You Stop Investing While Getting Out of Debt? | Good Life. Better. 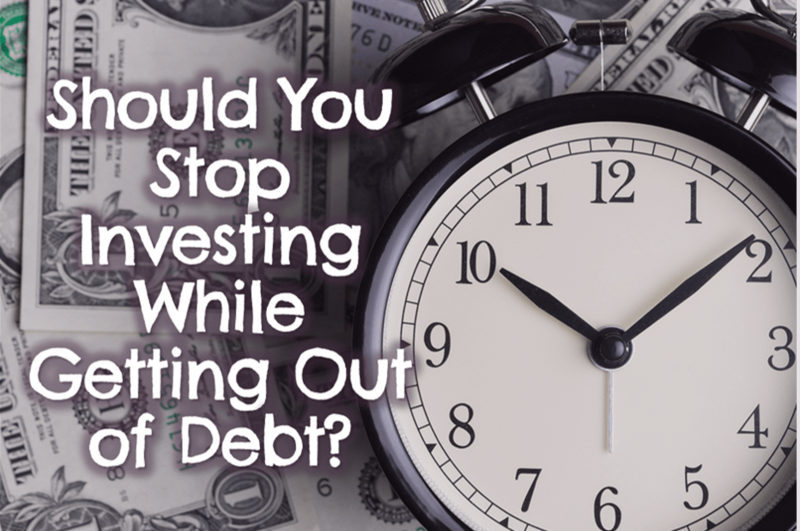 Should You Stop Investing While Getting Out of Debt? When I decided to get out of debt, one source of advice and inspiration was Dave Ramsey (via his books and podcast). Those early months of using the envelope system were frustrating, and I found the debt-free screams he features on his show very motivational (click here to watch the best of them). If you are familiar with his baby steps you know that Dave Ramsey tells his listeners to stop investing while getting out of debt (Baby Step 2). Because I am a rule follower, I would listen to him say this, I would read it in his book, and I wanted to abide by it (I really did!). But when it came to actually logging into my company’s HR system to make that change, I just couldn’t do it. I have been investing at least 10% of my income for over 15 years and for a lot of those years, it was 12% or more. To go from 12% to a big fat goose egg was just too hard, especially because my employer matches the first 5% and, as a single higher-income individual with no kids, I was concerned it would bump me up to a higher income tax bracket. Then, one day while listening to Dave’s podcast, he said something that helped me with my paralysis: it’s personal finance for a reason. We can take a very clinical approach to getting out of debt, considering only the numbers and the math, but doing so while ignoring our values could ultimately affect how successful we are. And for me, pausing retirement contributions altogether just wasn’t something I could do. Here’s why. Compounding is an amazing and glorious thing when it comes to saving for retirement. Einstein is even credited with calling it the eighth wonder of the world! So what is it? Compounding is when the money you invest earns a return and then that money earns a return. If that is clear as mud, let’s walk through an example. If I stuff $1,000 under my mattress each year for five years, I will have $5,000 by the end of the five years (and a really uncomfortable bed). If—instead of stuffing it under my mattress—I invest it and earn a return on my investment of 5%, I will have $5,802 by the end of the five years. This is because not only does my annual $1,000 contribution earn interest, but the interest that I earn becomes part of the principal and also earns interest. Unfortunately, compounding can be your friend and your enemy. While in this scenario it helped me, it can also work in favor of the companies I owe money to. This is why if your credit card balance is $1,000 and you send in a payment of $100 (and don’t make any new charges), the next time you get a bill, the amount you owe isn’t $900 but more like $940. The $40 is compounding interest working against you. This explains why Dave recommends no investing while you are in debt. 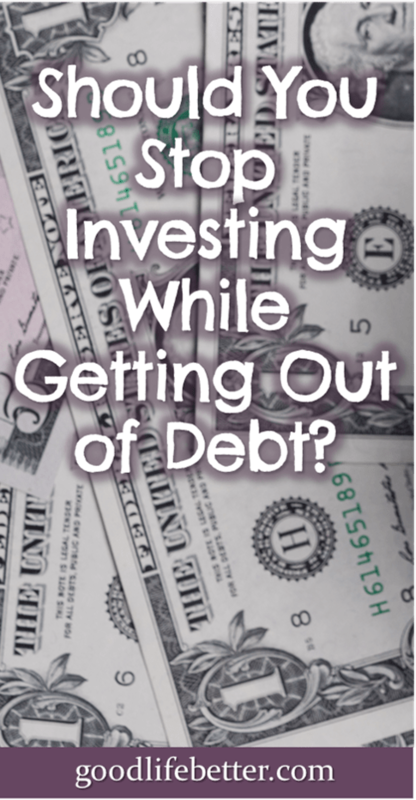 If your investments aren’t going to earn more than the amount of debt interest accruing, then it does make sense to stop investing and put everything toward debt. However, if your debt is at an interest rate below what you will likely earn on your investments, continuing to invest something while you are getting out of debt does makes sense. In my case, most of my debt was at interest rates less than 5%. My student loan—my last and largest debt—is locked in at around 4.4%. Meanwhile, my rate of return on my investments over the last 12 months has been around 18%. While, as discussed below, I did reduce the amount I am investing so I could get out of debt in 16 months, because my investments are earning more than my debt is costing me, I am comfortable with my decision to keep investing during my debt snowball. Dollar Cost Averaging is the benefit you get by purchasing smaller amounts of an item over time. Let’s use gasoline as an example. Sometimes when I go to the pump I pay $2.38 per gallon. Sometime, I pay $2.65 per gallon. If I only bought gas once a year and it happened to be the day when the price was higher, I would be pretty unhappy about it. But since I buy gas periodically, at least some of the time odds are that I will benefit from a price at the lower end of the spectrum. The good news for my wallet is that over time, my average cost is probably somewhere in the middle. This holds true with purchasing shares of an investment, the price of which can vary greatly from day to day. My contributions to my retirement account happen every two weeks. Some times, that Friday will fall on a day when the market it booming and share prices are high so the money I put aside to invest will not purchase as many shares. Sometimes, it will be on a day when the market is down and share prices are low so I am able to buy more shares. Over time, my average cost of investing will land somewhere in the middle which ensures I am not always buying at the top of the market. If I had stopped investing, I would have lost out on the benefit of periodic purchasing. Since I couldn’t bring myself to stop investing entirely, I looked at other strategies that increased the amount I had each month to put toward debt while still allowing me to invest something and make decent returns on what I did invest. First, I reduced how much I was investing from around 13% to 8% of my salary. This allowed me to continue to get the employer match but was still a big enough decrease that I could look at my contributions and see the change. I personally found this very motivating: the sooner I get out of debt, the sooner I can return to investing at a higher rate. Why 8% and not 5% (the required amount to get the match)? I am not sure. It seemed like a good number and it was one that only made me feel queasy instead of panicky. Second, I directed all of my retirement investment into a pre-tax retirement account. At work, I have access to a Roth 401(k) and a regular 401(k). If you are unfamiliar with how the two accounts differ, with a Roth 401(k), you pay taxes on the money you contribute now but not later. With a regular 401(k), you don’t pay taxes now on the money you invest but you do pay taxes later. By directing the entire 8% to a regular 401(k), it decreased my taxable income. As a result, the impact on my paycheck was smaller. Finally, I adopted a more aggressive investment strategy in an attempt to grow the money I did invest as much as possible. Now, when I say aggressive, I don’t mean shady vehicles like junk bonds and leveraged corn futures or other things I know nothing about. Aggressive does not mean stupid and if I had invested in something I didn’t understand fully, I would have been venturing into the realm of stupid. For me, aggressive mainly took the form of increasing my investments in international stocks which I felt could be on the rebound. So far that has paid off. I may end up at the end of my debt payoff in the same place I would have been if I had kept investing at 13% in a less aggressive portfolio. And if I don’t? I am still comfortable that I made the right decision for me. What Money Advice Has Paralyzed You? Getting out of debt is likely going to be uncomfortable. 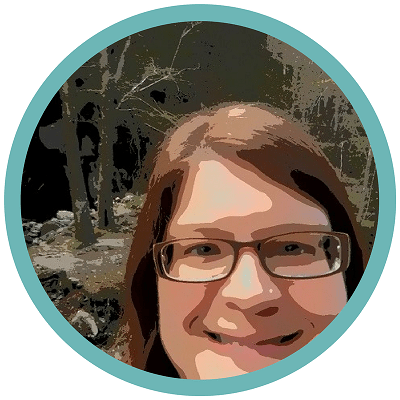 If your journey is like mine, it means a complete overhaul of your relationship with money. Have a bad day? Still not a reason to go out for an expensive dinner. Need to take time off or risk forfeiting your leave? Take time off but have a staycation and explore your city, instead of heading for the beach. But there is a difference between being uncomfortable and knowing in your heart of hearts a particular piece of advice—no matter how sound—is just not for you. What money advice have you struggled with in the past? 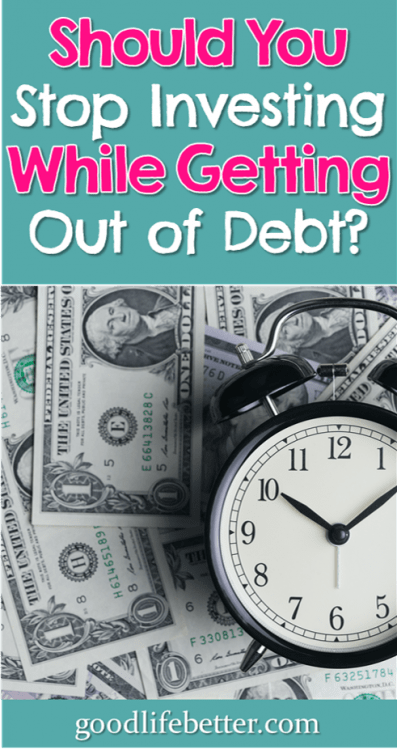 If you have completed your debt payoff, did you stop investing while getting out of debt? Let me know in the comment section below how you handled this issue.